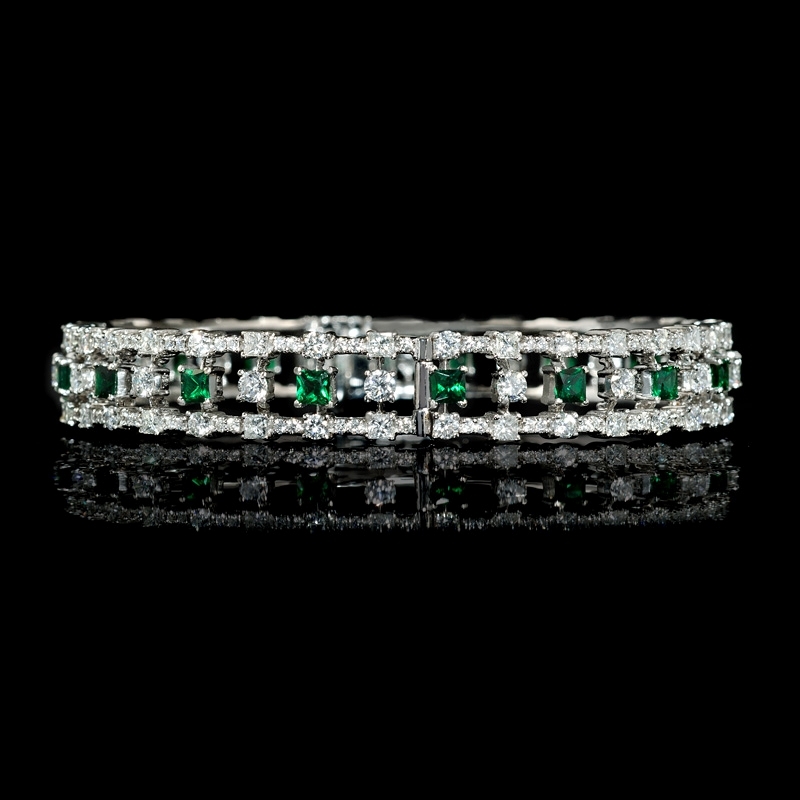 Diamond Details: 36 Princess cut and 196 round brilliant cut white diamonds of F color, VS2 clarity, of excellent cut and brilliance weighing 6.60 carats total. 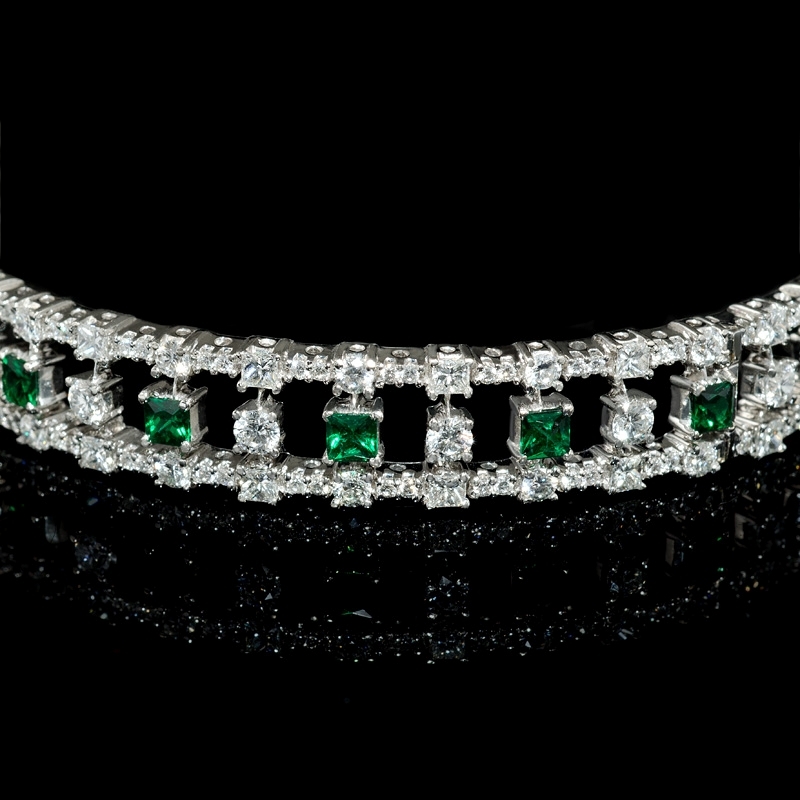 Gemstone Details: 17 Princess cut and 6 round cut tsavorite stones of exquisite color, weighing 3.14 carats total. 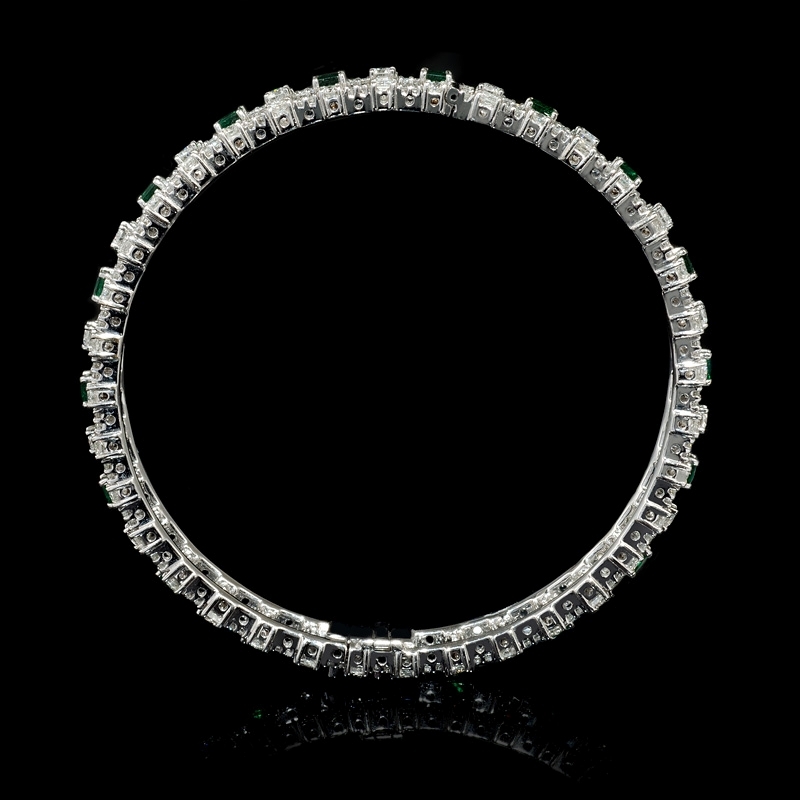 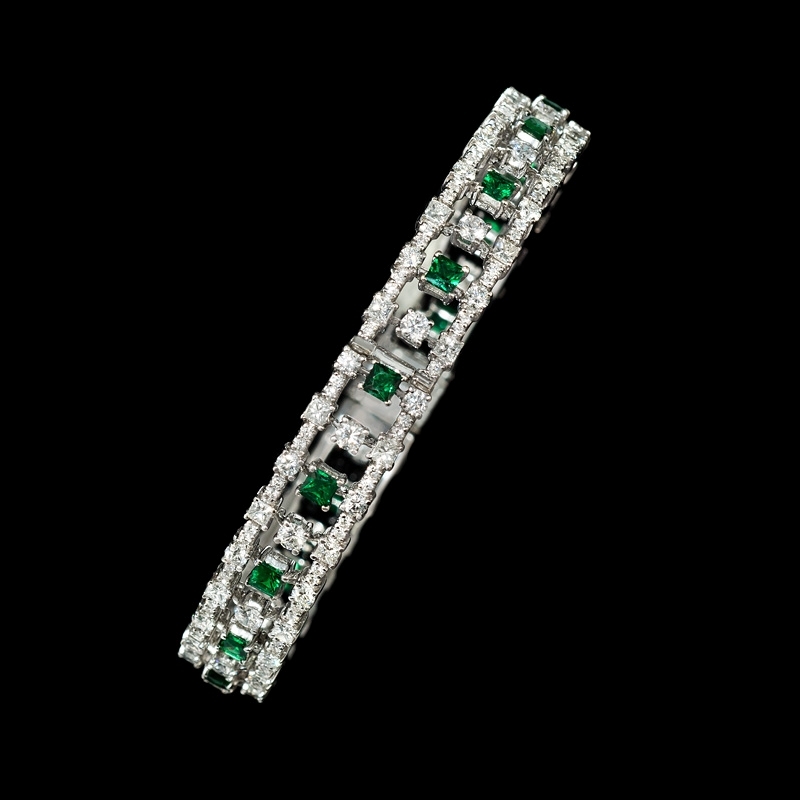 This gorgeous 18k white gold bangle bracelet, designed in Italy, features 17 Princess cut and 6 round cut tsavorite stones of exquisite color, weighing 3.14 carats total with 36 princess cut and 196 round brilliant cut white diamonds of F color, VS2 clarity, of excellent cut and brilliance weighing 6.60 carats total. 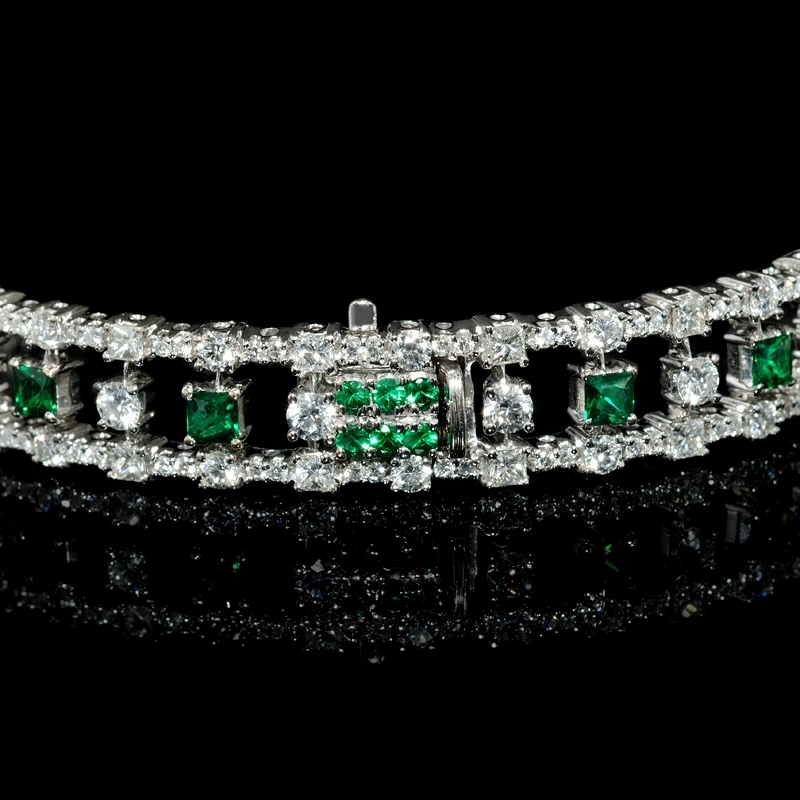 This diamond bracelet measures 2.5 inches in length.